Lew Carpenter, who died last year after more than four decades as an NFL player and coach, has been diagnosed with an advanced stage of a degenerative brain disease increasingly found in football players and other athletes who sustain repeated blows to the head. Lew Carpenter died last November at the age of 78. 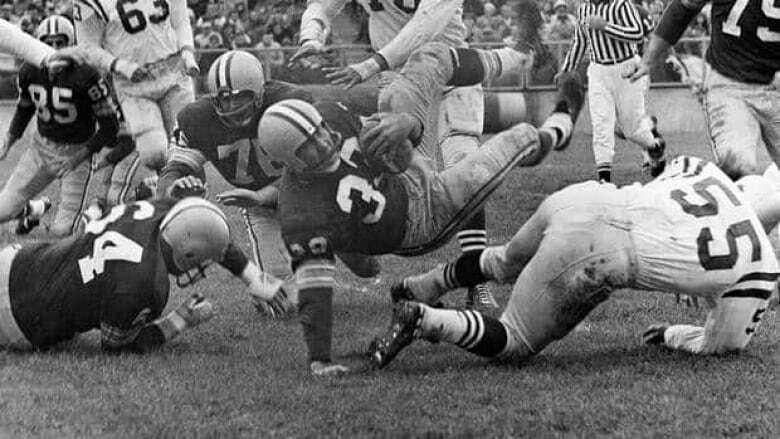 Lew Carpenter never had any concussions — or at least none that his family knew about back in the 1950s and '60s, when he played for the Lions, Browns and Packers and there wasn't as much concern over them as there is now. "Concussions aren't necessary for CTE to exist," said Dr. Robert Cantu, a Boston University researcher working on the project in conjunction with the Veterans Administration Center for the Study of Traumatic Encephelopathy. "Even if he didn't have any concussions, the amount of subconcussive trauma that he had — he probably had between 1,000 and 1,500 subconcussive blows a year, just from practice and play in games." "It's the total brain trauma. Tens of thousands of subconcussive blows all add up," Cantu told The Associated Press. "You can't draw a line between number of concussions and risk for CTE. You have to factor in the subconcussive trauma. It's equally — if not more — important." "Concussions are under-reported even now, and were hardly ever discussed back in Carpenter's day," Stern said. For now, CTE can only be diagnosed by a posthumous brain exam. Stern is hoping to develop a test that would identify the disease in living people, if not to treat it — there's no treatment yet — at least to tailor the person's care in a way that can keep them from disintegrating into depression and perhaps suicide.